Adria Mobil was founded in 1965 in Novo Mesto, south eastern Slovenia. 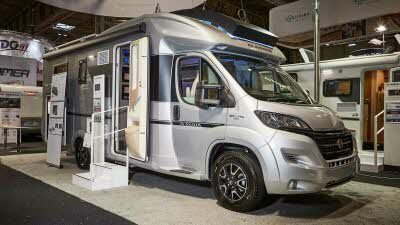 They have been producing motorhomes since 1982 with their Adriatik brand, and in 2015 celebrated their 50th anniversary. 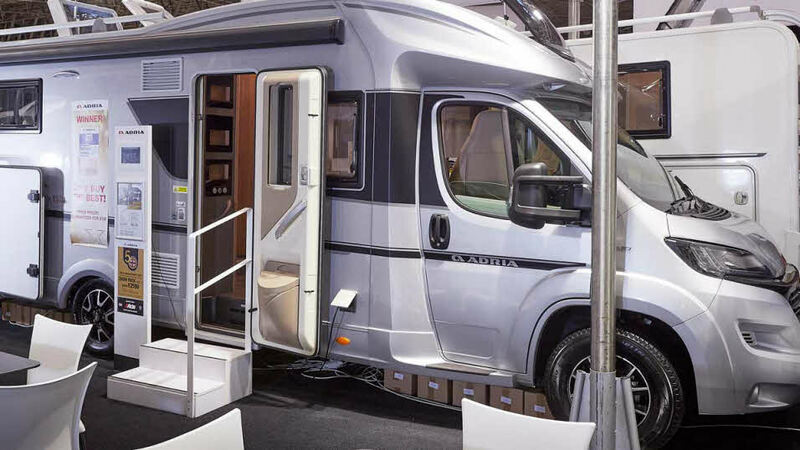 Today, Adria has moved into new territories, such as Australia, Japan, Korea, China, Israel and Russia, yet its number one market remains Sweden, the nation that fell in love with its first caravan. 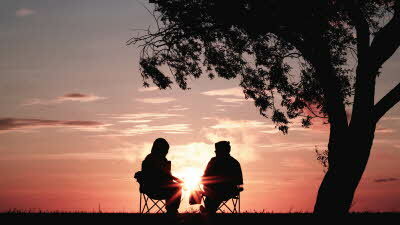 Their products are designed with the intention of providing their customers with the best possible solutions for spending their quality leisure time. Adria have enjoyed success at our Motorhome Design Awards, first in 2006 when their Twin Class 2.3JTD won Van Conversions up to £28,000 and Best Imported vehicle and their Vision I707 won the Best A Class. 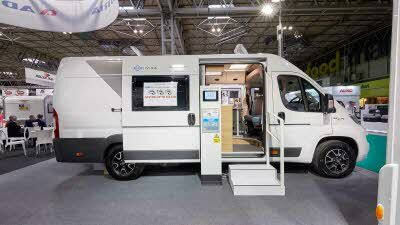 In 2007 the Adria Twin 100 won the Van Conversions up to £34,000 category and the Adria Vision 677 SP (120) scooped the A Class up to £60,000 Award. 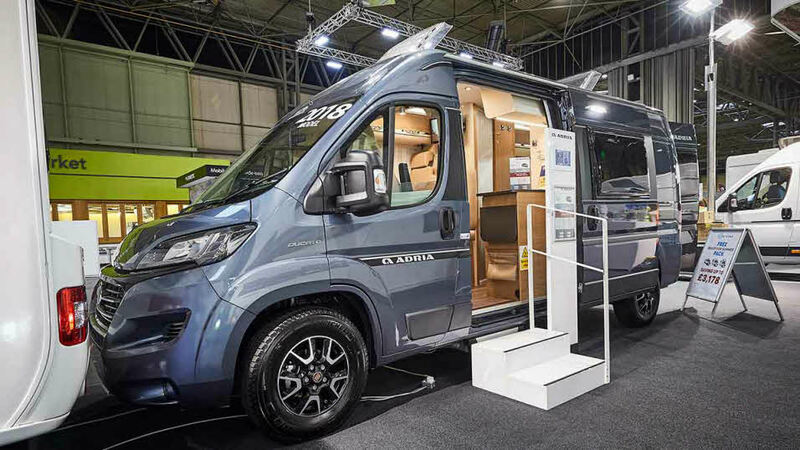 Adria triumphed again in 2015 with the Twin 600PS winning the Van Conversions £40,000 - £50,000. 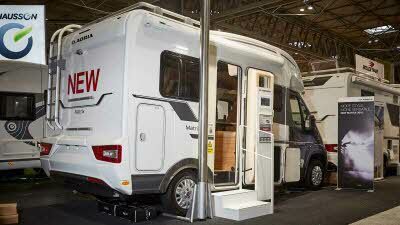 "Alde and under floor heating makes this the perfect choice for all-year touring." 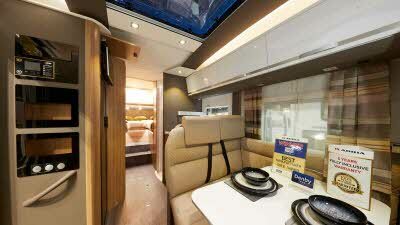 "Superb motorhome that offers huge amounts of living space yet is under 6m long." 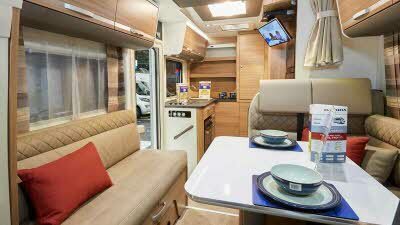 "Some terrific touches such as 2-gang USB socket on the lounge really finish off this beautifully-crafted van." 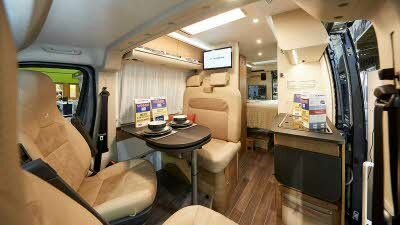 Sun Living motorhomes and camper vans are designed and manufactured by Adria Mobil. Their vehicles are purpose-built in the most advanced state-of-the-art factory in Europe. 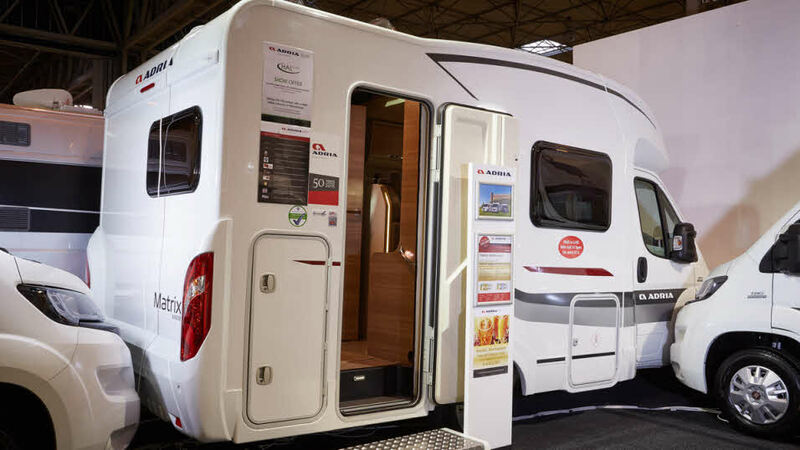 Sun Living motorhomes and camper vans are all well-specified, packed with new and exclusive features and all offer exceptional value for money. "Cracking van – huge lounge is a real bonus."